Over time, roof tiles can get covered with lichens. These mosses look disheveled and may cause harm after a while. By cleaning your roof tiles from time to time, you create a new look for your house. 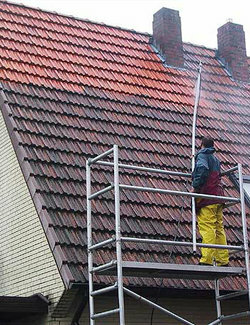 Moreover, a roof tile cleaning ensures an undisturbed drainage of rain water. How to remove moss from roof tiles? It is best to leave the cleaning of a roof to a professional cleaning company. They have the right materials to work safely and not bring damage to the roof. Think of a scaffolding and the obligatory safety devices. Another reason for choosing a roof cleaner is his knowledge of cleaning agents. 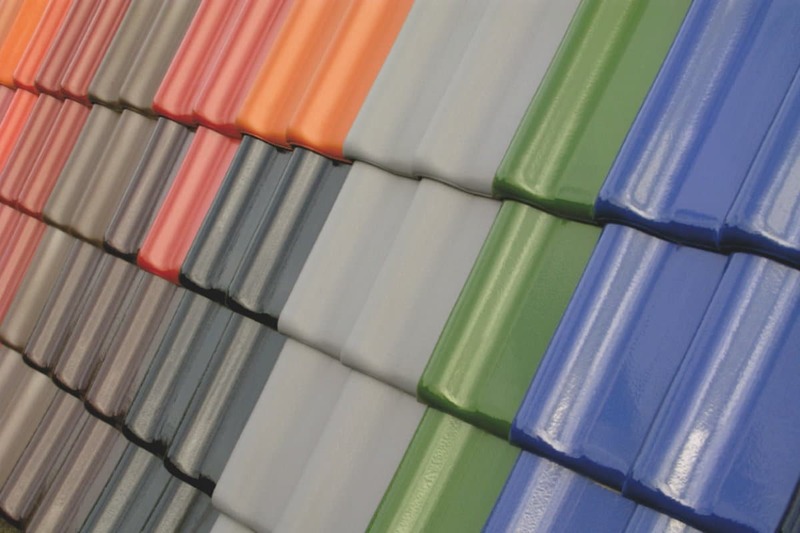 Each type of roof tile demands a specific treatment. When using cleaning agents that are too persistent, the roof tiles will loose their protective layer. This might lead to even more moss formation and damage. Curious about the price for a professional roof tile cleaning? Request noncommittal quotes via our online quotation service! Click here for more information. First of all, the cleaning company will inspect the roof tiles and judge their condition. After all, not all the tiles are equally suited to be sprayed off with hot steam or water under high pressure. 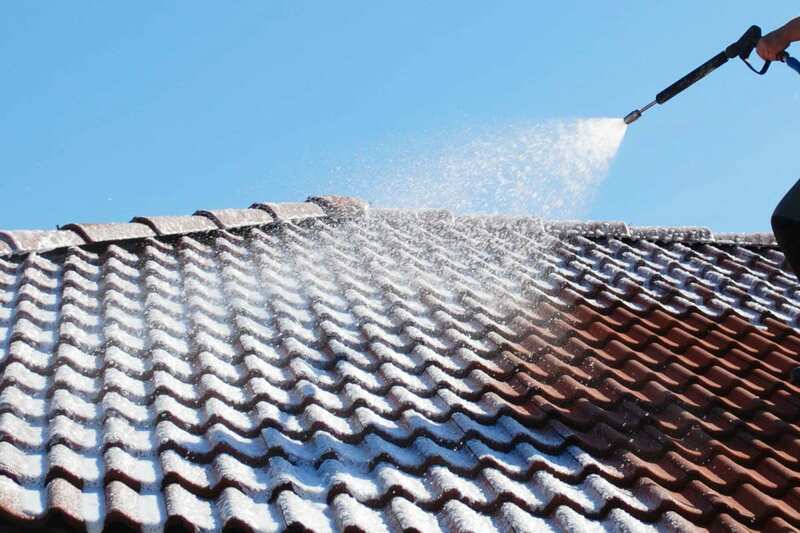 Depending on the type of filthiness and the type of roof tile (ceramic or concrete), it might be necessary to first apply a detergent on the roof before spraying. Generally, this is a biological product which is not harmful to the environment. The cleaning agent must act on the filthiness for a while before one can start removing it. Before cleaning the roof tiles, one uses a high-pressure cleaner with a dirt blaster. This is done from top to bottom in order to avoid water under the tiles. Because of the rotary motion of the dirt blaster and the strength with which the water is sprayed onto the roof tile, mosses and algae will be removed easily. In doing so, the roofer must keep track of the water pressure. Otherwise, the roof tiles might get damaged. After the roof tiles have been cleaned and moss has been removed, a disinfectant is sprayed onto the roof. This product is meant to kill remaining tracks of fungi and mosses. These traces are not visible to the naked eye. By treating the roof with an environment-friendly product, new mosses are prevented from popping up fast. 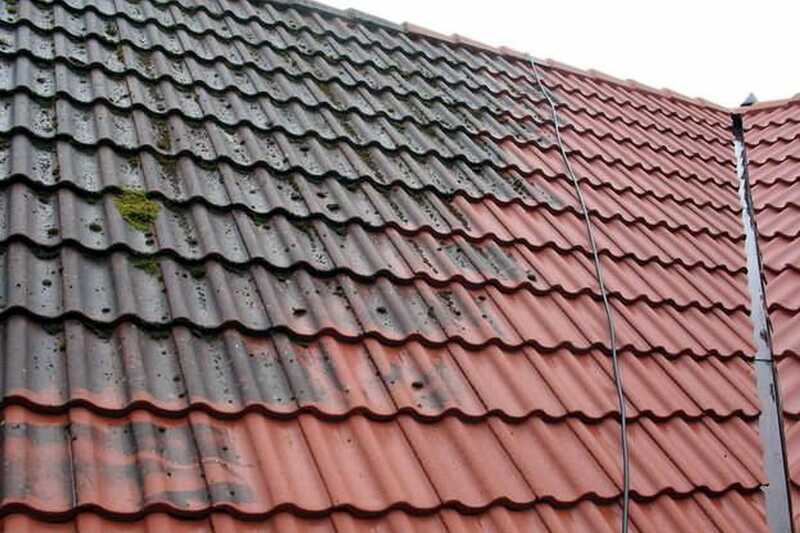 Roof tiles that have been polluted with moss generally have a porous structure as well. This does not apply to glazed roof tiles. Ceramic roof tiles that are not glazed however, become porous by age. Cleaning under high pressure may also contribute to higher rates of wear and tear of the top layer. As a result of this, it is often required to protect the tiles against pollution and new moss formation after the cleaning is done. This can happen in two ways: by means of coating or by impregnating. When coating, a coloured or transparent coating is sprayed onto the roof in two layers. This will be done under high pressure in order for the product to fill all corners and gaps. The coating method is especially chosen when the tiles don’t look good anymore, not even after cleansing. If the roof tiles are still good-looking, one mostly opts for impregnating. By impregnating the roof with a damp- and dirt resistant agent, little pores of the material become filled. This way, new mosses won’t stick easily. The impregnating agent absorbs into the tiles, so it won’t be visible any longer. This is in contrast to a coating that absorbs into the pores only partially and rather stays on the tile’s surface like a film layer. Is it required to clean roof tiles? A small amount of moss is not a problem and this appears on nearly all tiled roofs of a respectable age. However, as a mossed roof is getting older, mosses may gain the upper hand at a certain moment in time. In that case, different kinds of moss that are able to hold a lot of moisture may start appearing. Along with this, types of weeds could start to grow and root in the moss or even in between of the roof tiles. All of this is not beneficial to the condition of the roof. Also the roof tiles might get damaged, especially during freezing weather conditions. That is why it is advisable to have a roof cleaned as soon as mosses threaten to take the upper hand. For the cleansing and removal of moss from roof tiles, you will pay 25 to 43 pounds on average. Impregnating or coating is included. In case of a single-family home, this corresponds to a cost-price of 1420 to 1875 pounds. Do you wish to compare quotations, proposals and prices? Use our online quotation service and request proposals from different specialists. Click here for more information.